Huawei will introduce the new top models P30 and P30 Pro on Tuesday next week, March 26. Huawei P30 Pro is the first real top of the range of the Chinese company for 2019. Supported by the ” basic ” model and the Lite one, P30 Pro surpasses them both. 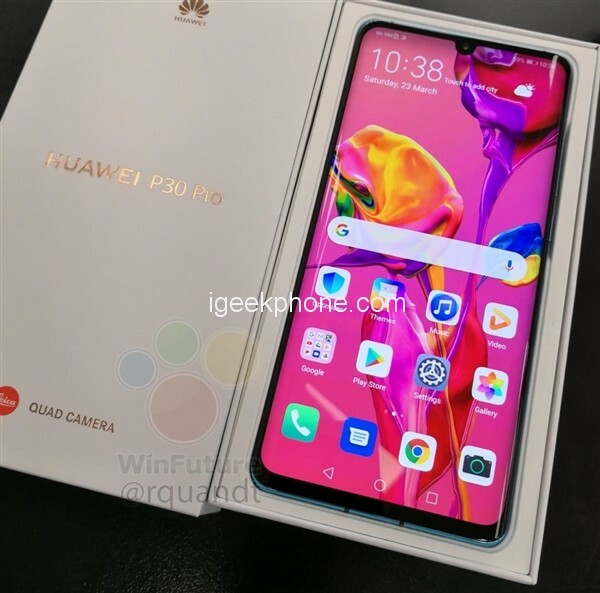 Today, the well-known leakstar Roland Quandt released the Retail box photo of Huawei P30 Pro, which shows that Huawei P30 Pro adopts the hyperbolic water-drop screen solution, which is the first flagship of the P series to use the surface + water-drop Notch design and the classic “Leica” logo on the box. The manufacturer uses the same type of shimmering and colorful backs as in the precursor. Huawei continues to poke at the cameras: P30 Pro has, according to the marketing material, 4 rear camera sensors with 10x hybrid zoom, up from 5x in P20 Pro. 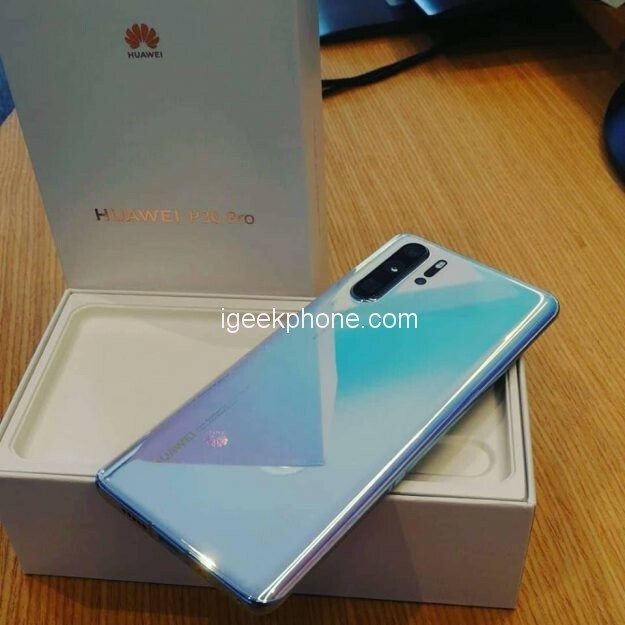 In addition to the information disseminated by Huawei itself, Winfuture has collected all sorts of details: For example, both P30 models will be equipped with Huawei’s Kirin 980 processor, ranging from 6GB (P30) to 8GB of RAM (P30 Pro) and between 128GB and 512GB (probably only P30 Pro) flash memory should be supported. Both versions are said to have a memory extension using Huawei’s Nano-Memory Card. The OLED display of the Pro model should be 6.47 inches tall and resolve with 2340 x 1080 pixels. According to the latest information, the screen of the P30 has a diagonal of 6.1 inches and also 2340 x 1080 pixels. The batteries of the 2 smartphones are 4200mAh (P30 Pro) and 3650mAh respectively. 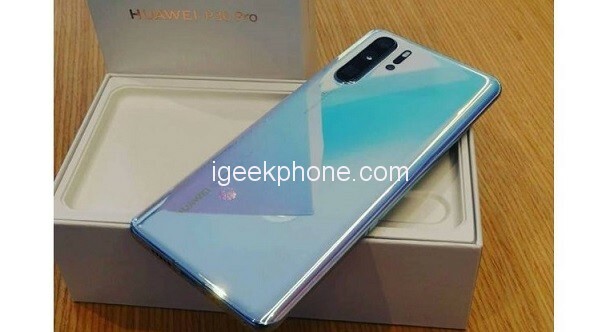 Even the prices are already circulating on the net: The Huawei P30 with 6GB of RAM and 128GB of internal memory is expected to cost $850. The P30 Pro is the model with 8GB of RAM and 128GB onboard memory at $1130 going on, the variant with 256GB of memory should cost $1245.